A custom golf simulator is a system designed to fit any exact requirements and space. You can have it worked into the design of your basement, office, garage or family room. We often work with homeowners, contractors and handymen to create a seamless look for your custom room. Also, if you own a bar, clubhouse, pro golf shop or a golf business, these are also a great way to go. So, drum roll please... Here are the 3 reasons to choose a custom simulator. We can configure it perfectly based on the size of the room where you want it installed. Our team is composed of experts that can create a great layout and design for an efficient space use that will maintain a natural flow. A custom setup can be fitted to allow for the best golf experience as if you’re out in the links as well. We design and create golf simulators in a wide range of sizes and shapes to accommodate most space limitations, budgets and designs. 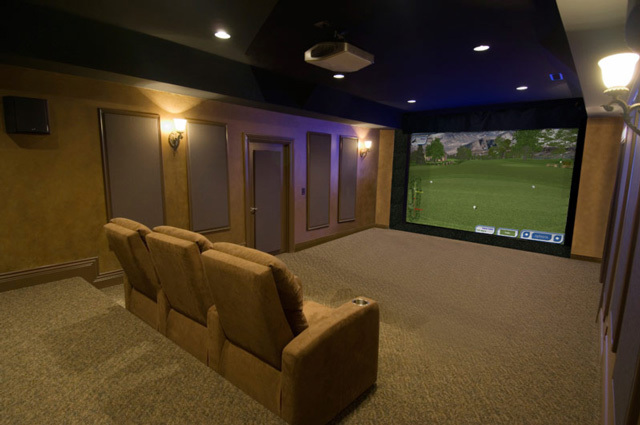 We create custom golf simulators with a widescreen to use as a home theater. So each time you’re done with a round of golf at Bethpage Black or PGA National, you have the option to watch your favorite movies or Netflix series with your loved ones. It is like investing in two systems – a golf simulator and a home theater system because it lets you switch from one activity to another without leaving the premises. 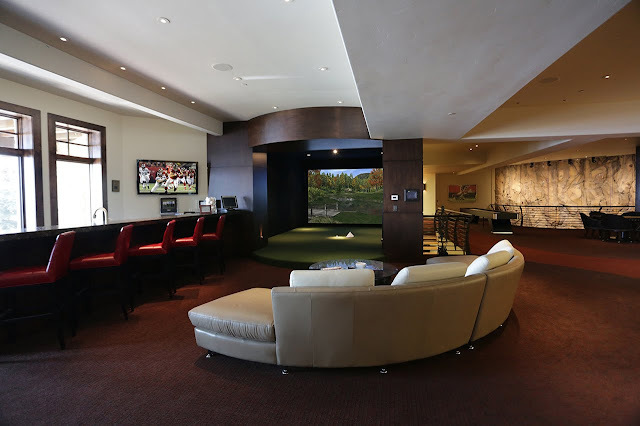 Enjoy watching Caddyshack, PGA tournaments and much more with the custom golf simulator. As custom simulators require fewer constraints regarding the structure, you have more options with adding games and other sports to the system. We can customize it based on your needs and add your favorite gaming console games, such as WII, PlayStation or Xbox. Our team can also add a flight or car-racing simulator alongside the system to create the ultimate game room. Adding more golf course is also easy as you have over 80 of the best courses in the world to choose from. These courses are presented in brilliant 4K resolutions with the state of the art E6 Connect. The system also includes contest modes and driving range which will help you improve your skills and get more enjoyment out of the game. The swing analysis software tracks your club head’s movement allowing you to spot what is happening through impact (See this article: "Your Golf Technique Can Be Improved By What The Naked Eye Cannot See". If you’re not a pro golfer that can spend hours playing every day, the odds are your golf game is not where you want it to be. And, if you’re an executive or have a full time job, you can’t really be out in the links anytime you want. Unless you are retired, you might not be able to squeeze in rounds of golf on any given day. However, both schedule and time constraints should not stop you from enjoying the game you love. In this case, a custom golf simulator can be your ticket. Our team can help you install and setup a custom golf simulator to be the main attraction in your home, office or business. We can customize it to fit your requirements and needs while offer features you didn't even know were possible. Plus, the impressive widescreen with its outstanding resolution will give you that real golf environment experience. 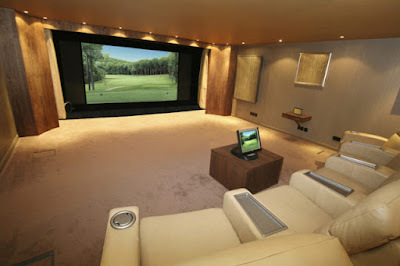 It can also double as a home theater system to watch your favorite movies or TV series with guests or family members. You and your kids can also play your favorite console games and other sports during your free time for a great family bonding experience. Are you ready to take your golf skills to the next level? Do you want to enjoy the sport at any given time without dealing with the weather or squeezing it into your hectic schedule? We can help you realize this dream.